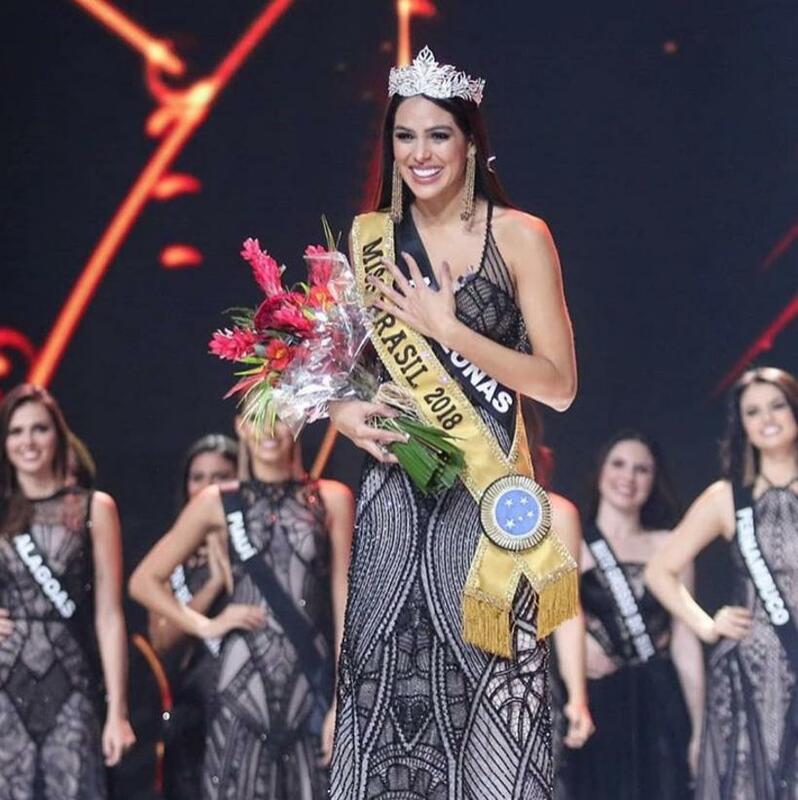 26 year old Mayra Dias representing Amazonas was crowned Miss Brasil Be Emotion 2018 on May 26 in Riocentro in Rio de Janeiro. She was crowned by Miss Brasil 2017, Monalysa Alcantara. The 1st run-up was Miss Bahia, Maria Isabel, while Miss Ceara, Teresa Santos was the 2nd run-up. Completing the top 5 were Miss Alagoas, Isabella Burgui and Miss Santa Catarina, Debora Silva. One of the highlights of yesterday´s Miss Brazil pageant, was the tribute paid to Marta Vasconcellos, the last Brazilian woman to be crowned Miss Universe, 50 years ago. The representatives of Piauí, Pernambuco, Rio Grande do Norte, São Paulo and Goiás (the last one advanced after winning a make-up challenge called "Miss Be Emotion"), stopped in the Top 10. Quarter-finalists (Top 15) were Rio Grande do Sul, Paraíba, Minas Gerais, Distrito Federal and Espírito Santo. Mayra from Itacoatiara stands 1.75m tall. She was a former Miss Amazonas World 2015 and competed in Miss Brazil World 2015 where she was top 20 quarter finalist and awarded "Best Runway". 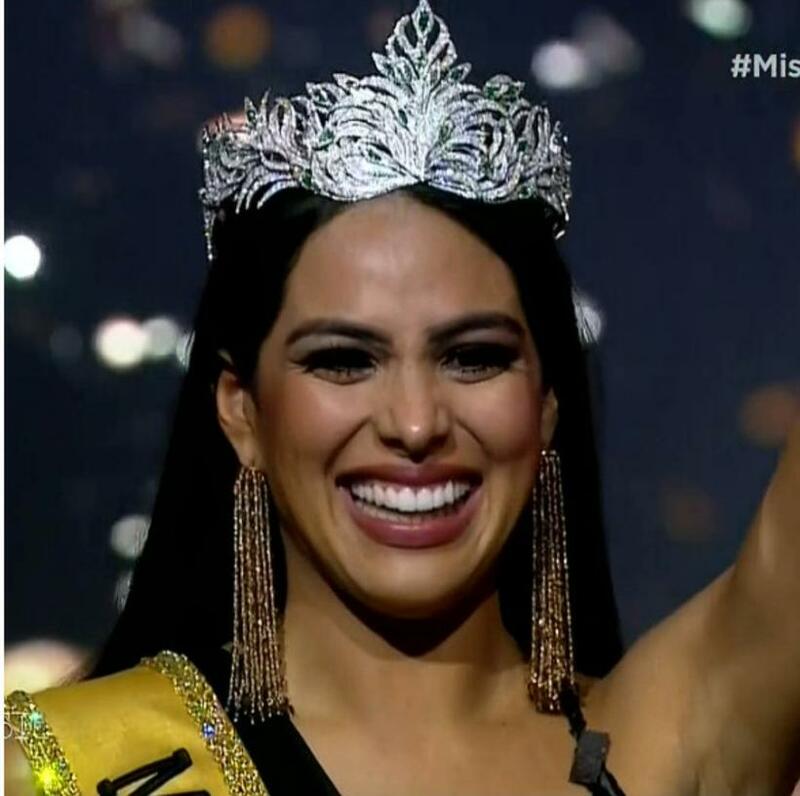 Then in 2016, she was appointed to represent Brazil in Hispanic-American Queen, and placed as 3rd run-up. Dias will now be the official representative of Brazil in Miss Universe 2018 later this year.